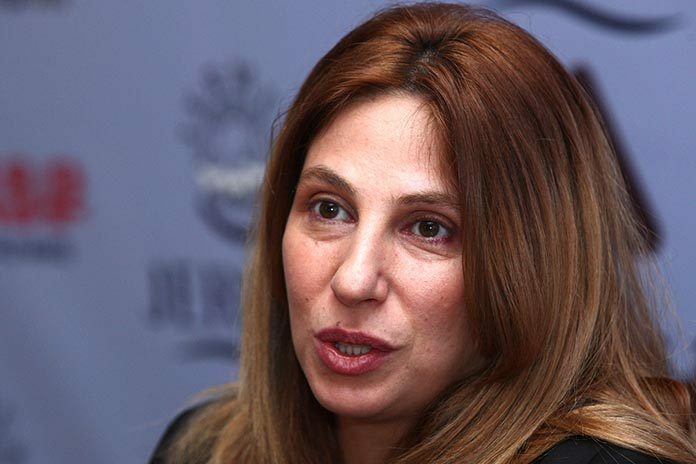 Opposition MP Zaruhi Postanjyan does not rule out that after the endorsement by the government of a bill on Nagorno-Karabakh’s recognition co-authored by her it will eventually be blocked in the National Assembly. “Many members of parliament in their actions are guided by orders, not their conscience. So, I won’t be surprised if it is not eventually adopted in the National Assembly,” she said. The endorsement by the government of the bill co-authored by Postanjyan and Armenia’s former prime minister, current opposition MP Hrant Bagratyan has already triggered an angry reaction from Azerbaijan that warned that passage of such legislation would mean Armenia’s withdrawal from the internationally mediated peace process. Skeptics in Armenia say the peace process was already effectively ruined when Azerbaijan unleashed its latest aggression against Nagorno-Karabakh in early April. Talking to media after the government session today, Armenia’s Deputy Foreign Minister Shavarsh Kocharyan said that the bill will certainly be put on the agenda of the National Assembly if Azerbaijan attempts a new aggression. Postanjyan, meanwhile, thinks that Armenia should not delay the adoption of the law. “Azerbaijan has already rejected the 1994 ceasefire agreement signed with Armenia and Nagorno-Karabakh, and has even notified the United Nations about it. What negotiations can we talk about in such conditions? There are no negotiations today. There is no alternative to the NKR’s recognition,” Postanjyan concluded. Russian President Vladimir Putin’s spokesperson Dmitry Peskov today was quoted by Russian media as saying that Yerevan did not discuss its step on Nagorno-Karabakh’s recognition with Moscow.